This Sunday CBS Studio Center in Studio City is the host of the 24th Annual Great Chefs of Los Angeles, benefiting the National Kidney Foundation. 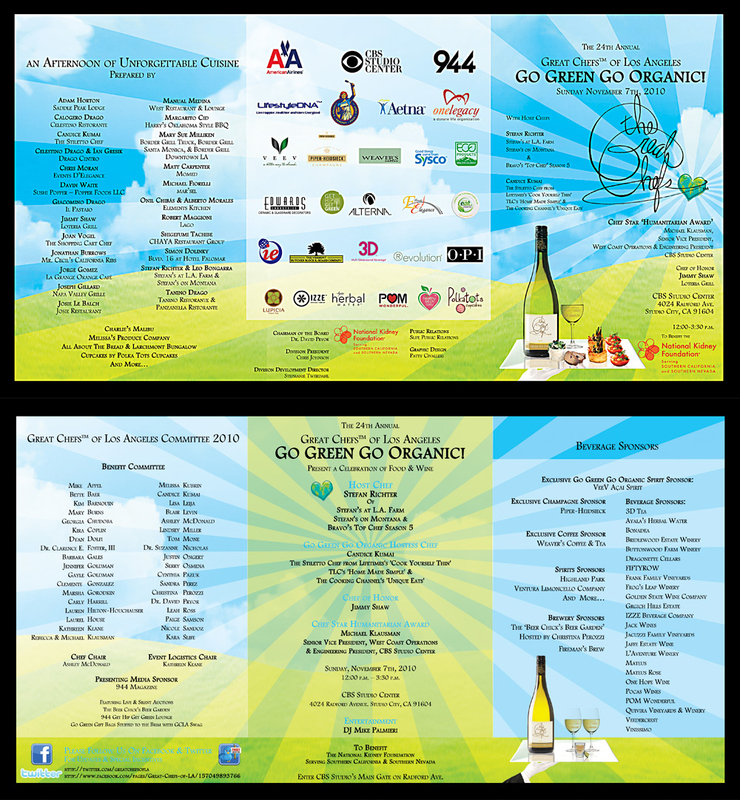 The theme this year is Go Green, Go Organic and a slew of some of the top chefs in town will be cooking up dishes for the benefit. Participating chefs include Adam Horton from Saddle Peak Lodge, Celestino Drago of Drago Centro, Josie LeBalch of Josie and over 25 others. The event will run from 12 Noon to 3:30 PM and includes champagne, wine from over 20 wineries and a beer garden curated by the Beer Chicks (the dynamic duo who organized and curated the 1st Annual Los Angeles Craft Beer Crawl.) Tickets are $150, although Grub Street has a promotion where you can get 30% off - click here for the details. Buy your tickets online here at the National Kidney Foundation website. CBS Studio Center: 4024 Radford Avenue, Studio City, CA 91604.